Fig. 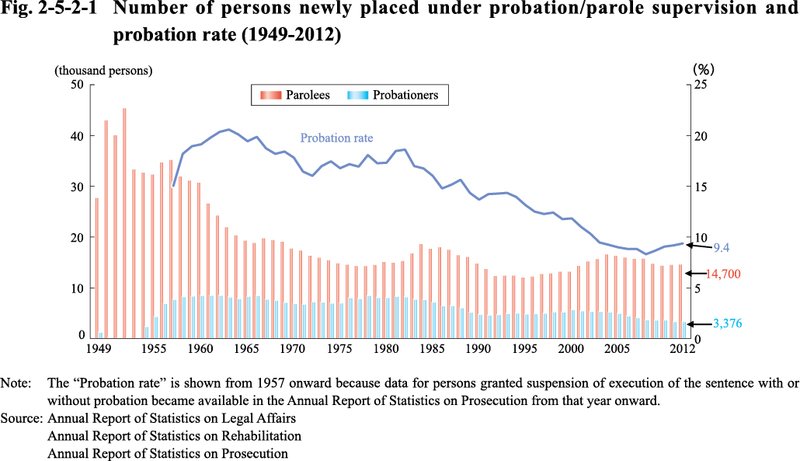 2-5-2-1 shows the number of persons newly placed under probation/parole supervision since 1949 and the probation rate. See also Appendix 2-12. Fig. 2-5-2-2 shows the percent distribution of persons newly placed under probation/parole supervision by age group in 2012. For the percent distribution of persons newly placed under probation/parole supervision by type offense, see Appendix 2-13.